"jim sorry for your loss.this is chris Herrera please get..."
"My deepest condolences to the family of Jeanne. May God ..."
Jeanne Marie Tilley, 91, passed away Sept. 9, 2018. Survived by loving husband of 70 years, Joe Tilley; children, JoAnne LaSage, Judy Mackey, Jackie Sais, Jerri Chambers and James Tilley. Preceded in death by parents and her oldest daughter, Janis. 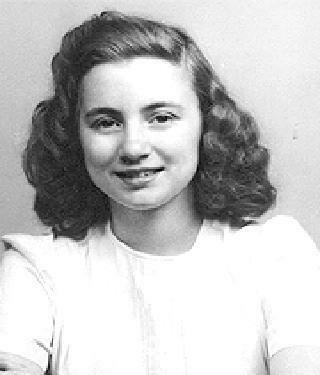 Jeanne was born 1927, in St. Louis, Mo. She was an executive secretary at Western Electric before becoming a mother. She raised six children with angelic grace and nurturing love. She was the essence of goodness and compassion for others, leading by example and instilling these virtues in her children. She welcomed 31 grandchildren and great-grandchildren with a loving heart. Funeral service, 10:30 a.m. Sunday, Sept. 16, in the Montgomery & Steward Chapel, 1317 N. Main St., in Pueblo, with Pastors Larry and Lorrie Russell officiating. Entombment, Mountain View Cemetery, Pueblo. In lieu of flowers, memorials may be made to Sunny Vista Living Center, 2445 E. Cache La Poudre, Colorado Springs, CO 80909. Online condolences, www.MontgomerySteward.com.